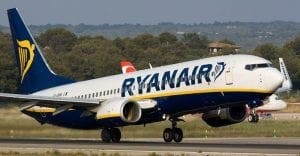 RYANAIR is changing its cabin luggage policy for the second time this year, and it could leave you £8 (€9) worse off. Currently, only priority boarding passengers can bring two bags into the cabin for free, while non-priority passengers can take one small bag into the cabin and have a second bag put in the hold for free. But from November 1, those who aren’t priority boarders will have to pay extra if they want a second bag at all; in fact, you’ll need to fork out £8 (€9) for a bag up to 10kg. If you already wanted to check in a second bag, the change will mean you’ll be able to pay £8 for a bag up of to 10kg instead of the usual £25 for a bag of up to 20kg. If you did not plan for a second bag, non-priority passengers will have to either pay the extra £6 for priority boarding (£8 if you choose to add this to your booking later), or pay £8 to get it checked into the hold – or just stick with one small bag. The changes will take effect even if you have already booked your flight – meaning you will have to fork out the extra for your second bag from November onwards. The airline put the change down to the number of people turning up at the gate with a second bag to place in the hold for free, which they say can cause delays of approximately 25 minutes. 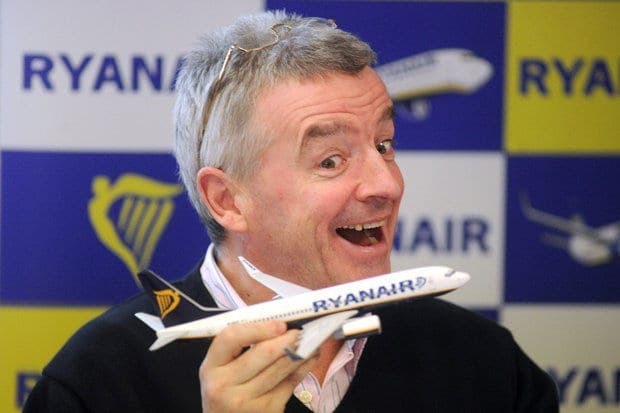 The photo of Michael O´Leary makes me want to vomit every time it’s published. That face tells it all saying “I’ve got you all where I want you” and we are all stupid enough to keep flying with Ryanair maybe because there is not a lot of choice but do we have to accept daylight robbery? What will RYANAIR do if there is a No Deal Brexit and it cant fly between the UK and Spain! Don’t see the problem – yet. It’s a no brainer to pay six quid at booking instead of eight quid later. We always have done in order to secure aisle seats at the back. It also used to be necessary to do this, to be able to book return boarding cards if one was going away for more than a week. However, if everyone pays for priority boarding, we’ll be back to the situation of not having enough room in the lockers for all the wheely bags. Groundhog Day.